LG's 2013 flagship is finally here, the LG G2 is now available to Canadians. The G2 has been made available to carriers including Rogers, Bell, TELUS, Videotron, SaskTel, WIND as retailers WIRELESSWAVE, Tbooth wireless, WIRELESS etc, Target Mobile™, Best Buy, Future Shop, The Source and Mobile Shop. As a refresher of the specs the G2 is equipped with: a 5.2-inch 1080p IPS display, 2.26GHz Quad Core Snapdragon 800 Processor, Adreno 330 GPU, 2GB of RAM, a 3000mAh battery and Android 4.2.2. We'll try to get a review unit as soon as possible for a full review. Check out the press releases after the break. 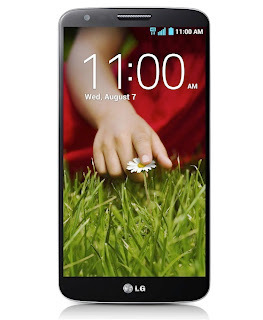 Toronto, ON, Sept. 12 2013 – LG Electronics (LG) announced today that beginning September 27, Canadians can get their hands on the much anticipated LG G2, the first smartphone introduced under the new LG series “G” slated for premium devices. · QuickRemote – gives the LG G2 the ability to remotely control all IR devices including TV, Home Theatre, Air Conditioner, Stereo etc. For more information on the LG G2, please visit LG Canada atwww.lg.com. You can also follow us on facebook.com/LGCanada and twitter @LGCanada. The LG brand was established in 1995. The company is a global leader in electronics, information and communications products, with more than 117 operations around the world, and annual worldwide revenues of more than US $49 billion. LG Canada is comprised of five business units - Mobile Communications, Home Appliance, Home Entertainment, Business Solutions and Commercial Air Conditioning. The company has offices in Toronto and Vancouver. LG Canada is focused on delivering award-winning products known for blending style and technology. These innovative products include cell phones, flat screen TVs, laptop computers and home appliances. For more information please visitwww.LG.com.